Ok guys I’m upset! 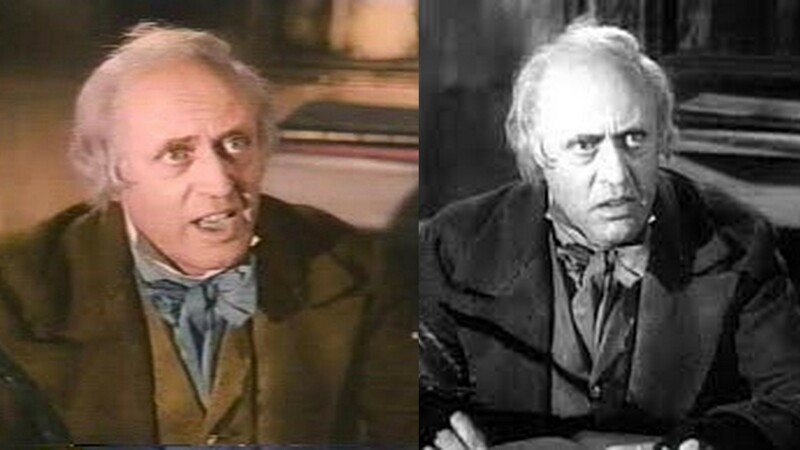 Those who read my Scrooge Month got a clear idea of my feelings on the colorization of Black and White movies. 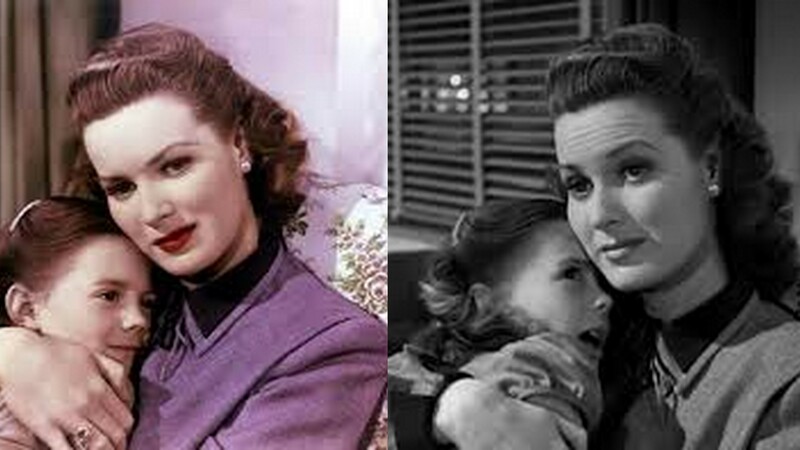 So imagine my shock when I DVR’d the holiday classic Miracle on 34th Street on a major channel, AMC, and what do I see but the colorized version. AMC should be ashamed of themselves! I’m serious. Putting out an assault on an artists vision as if it was the original property on national TV is worthy of the strictest censure. Why do I hate colorized movies so much? Well, here we go. The Michael Bay’s of the world consider film a product but I think of it as art, especially how the movie looks. People could be painters, sculptors or dancers and they chose to work in film. We would never take a bronze sculpture and tell the artist he should be using jade or an oil painting and force it to be in watercolor. Most of the history of film has had color as an option (Gone with the Wind is stunning color cinematography and that’s in 1939) so these artists made a choice to film in black and white. Why would they make this choice? Because it was less expensive in some cases but it also has shadows and movement you don’t get with color film. It removes distraction and forces the viewer to focus on the images. Instead of absorbing the color of a jacket, or a person’s hair color we see their face and the wrinkles on their skin and learn so much about who they are. We don’t need to know that the soldier’s uniform is blue. We just need to see the look of horror on his face. It would be one thing if an artist approved of their work being colorized but most of these films are in the public domain and are changed without anyone’s consent. It’s wrong and it deeply offends me. 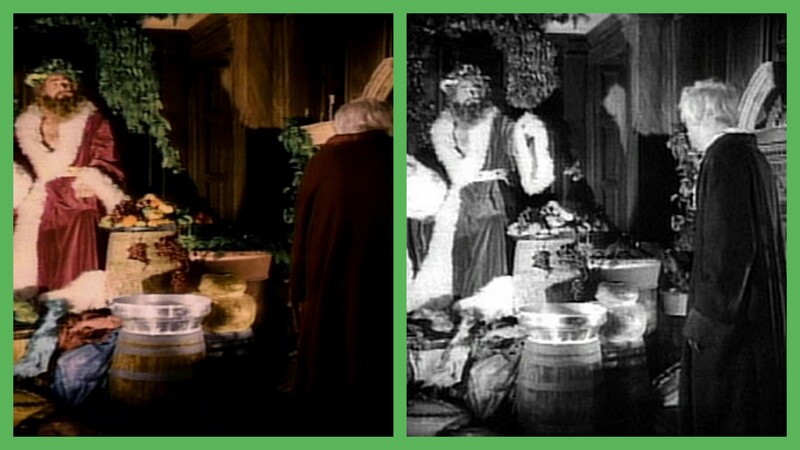 Turner movies stopped doing the process in 1989 and I thought it had gone the way of the VHS but in Scrooge month I repeatedly came across DVDs that were colorized like the 1951 Christmas Carol with Alistair Sim. It is routinely regarded as the most well made of the Scrooge movies and rightfully so. The lighting and nuances in the acting is beautifully captured. Probably its greatest strength is the films artistry so to sully with that aspect belittles the whole film to any other mediocre version. To me there is just no comparison between the look of the black and white and the colorized. In the black and white I immediately focus on Scrooge’s eyes where the color I am looking at his cravat and bow tie and how blue it is. I am also looking at the doormat and his hair. The eyes are the last thing I look about and you tell so much from Sim’s eyes. It’s the same in Miracle on 34th Street. Look at the difference. In the colorized version what do you see? Well, Catherine O’Hara’s lipstick and her pale skin. In the black and white we see her eyes and the wrinkles on her forehead. She looks like a mother trying to explain something to her child. It is so much more pleasant and interesting to look at. In colorized she looks frail and her hair is distracting. With Kris you are totally focused on the red of his suit and the gold of the chair. The love and emotion in his face and eyes are completely lost, which is so clear in the black and white. Even if you don’t mind the look of the colorized it doesn’t tell you anything new that is pertinent to the story. It doesn’t matter that Catherine O’hara has red hair or red lipstick or that Kris is sitting on a gold chair. What does it give you to know such things? It’s certainly isn’t ‘magic’ in my book. When the movement started it was praised as a way to get children to appreciate older movies by presenting them in color. Hogwash. If a child cannot appreciate the black and white Miracle on 34th Street than show them something else. It certainly does them no good to get them attached to a diluted version of the story. It doesn’t help them appreciate older films because they aren’t really seeing them. They will no doubt grow to be adults and feel cheated on the thin gruel they were given when such feasting exists. I know I would be. In my experience kids are actually more accepting of artistic differences in pieces than adults. I have had many experiences watching Wall-e, for instance, where the artistic choices were hard for adults to accept but kids loved it. If you feel so strongly about your kids needing to see Miracle on 34th Street in color than watch the 1994 version which is not near as good but at least you won’t be assaulting a classic. People may claim that television airs edited versions of films for content and time allowances and is that not also altering the creative vision? That would be a valid point but in that case the versions are provided by the studios with the permission of all involved. In the case of the colorization a separate entity unassociated with the project takes the film and adds the color without any input from the original creators. Alterations for content could be seen as a necessary evil when there is absolutely nothing necessary about adding color. It’s just wrong. People dedicate their lives to their art and just as we would never change a Picasso or a Van Gogh because we don’t like the style, we should not change these films. And I can’t believe that a major channel like AMC, which puts out bold artistic content like Breaking Bad and Mad Men would air such a thing. They don’t even say on their webpage that it is a colorized version. Anyway, it just upsets me and I couldn’t believe AMC would air it. No matter what they do this will always be my Santa Claus and it should be your’s too. Since the National Film Preservation Act of 1988 it has also been illegal for films to be colorized so these are old versions that still float around changed before the law. Another reason’s AMC’s decision is very surprising. I really cannot tell you how much I enjoyed reading this article. My father recently got a 50″ Class LED TV and I was helping him solve a problem he thought had come up: he complained that the picture quality was bad because he had changed the aspect ratio from 1080i to 480i by mistake while trying to turn on closed captioning. I helped him locate resources online that left him satisfied with the situation. I ritualistically check stations playing a b&w film to see if it’s the colorized version and had already been pleased earlier in the day to see It’s a Wonderful Life was being run unaltered on TBS. So I went to AMC’s showing of Miracle on 34th Street, then called my dad out and asked him if he saw anything strange about the picture quality on this station. He said “Well, it’s very colorful, isn’t it?” and I pointed out how everything was rendered in the same strange hazy light palette. He admitted that it looked like someone had adjusted the color on the TV almost to black-and-white but not quite, but that colorization was not something that really bothered him and that he even sort of liked it. It doesn’t seem to bother most people either, when you look at Amazon.com colorization forums and see how few defenders there actually are of keeping black-and-white the way it is. I grew up being taunted by my sisters for watching The Andy Griffith Show. “It’s not even in color! Are you a dog?” despite my informing them that the last 3 seasons had been in color (while they of course went on watching color Disney movies and Looney Tunes shorts that were far older). I already got angry and passionate about this issue last Christmas when 2 color-coated I Love Lucy episodes aired on NBC. Not to mention I actually have Ted Turner’s version on VHS marketed as the “Exclusive Color Version” and I can only find one DVD release of the movie on Amazon that doesn’t include the colorization. Even Doug Walker showed clips of the colorized version when discussing the movie in his list of favorite Christmas specials! 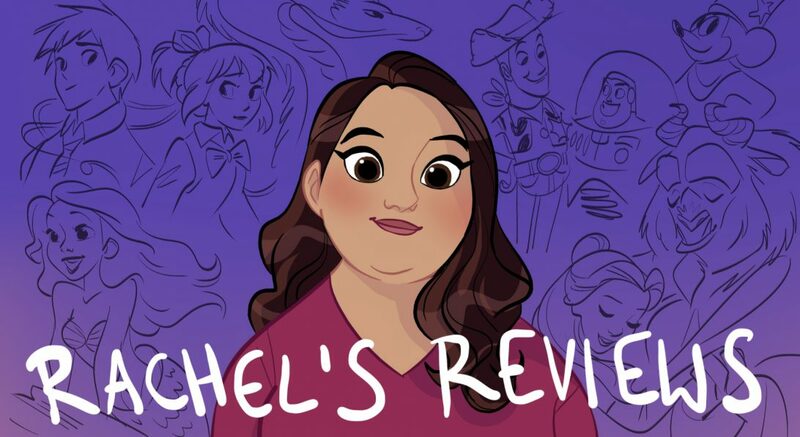 I agreed with everything in this review and I loved learning from you about children being more receptive than adults to WALL-E’s artistic choices because I have always wondered how children honestly respond to movies like that and Up. I also enjoyed your comparison of the images because you pointed out such very perceptive differences in a very Roger Ebert-esque style that we simply don’t get these days. Even Ebert said most people he made these comparisons to did not agree and thought black-and-white inherently takes something away. My top commenter Daniel admitted to me that “I haven’t seen too many black and white films, I could probably count them all on one hand (let’s try: The Wizard of Oz [does that count? ], To Kill A Mockingbird and The Artist [does that still count despite it being modern?]). I find them quite alien, and when there’s old films on TV I find them quite boring because I’ve been brought up on quite modern films (being not that old myself) so I’m used to them and their tropes and their picture quality and their pacing. (Which is probably the same of books too, hence why I find reading classics a challenge. )”, so I found it so refreshing to hear someone like you so passionate about this in the modern era. I agreed with every word of this wonderful article and I recommend to you Siskel & Ebert’s “Colorization: Hollywood’s New Vandalism” or their show in 1989 called “Hail Hail Black & White” which was actually filmed in black-and-white. The only thing I disliked about this article is that it had to be written in 2014. Thank you so much! I’m so glad to have a fellow warrior in this cause. I have long felt this way but I honestly thought colorization was old news. I hadn’t seen any colorized movies in some time as the process was made illegal in 1988 I believe (thank goodness). It makes sense in a way that holiday films would be the first to be colorized as they are probably rewatched the most frequently. To think that generations have now been raised on colorized films makes me so sad. The boy you mentioned may have seen black and white films and not even realized it. I had one friend on facebook who said she preferred the colorized films because the color brought the images alive. Again makes me sad. This is what comes from teaching children to see film as entertainment only and to not educate them about the art of cinema. I suppose a black and white film is a little harder to digest but like teh difference between a gourmet meal and fast food it is so much more enriching (if that’s the way the artist designed it to be. Color films can certainly be inspiring because the creators are making choices in how they use that color). It’s interesting because we did not watch many movies growing up but when we did my parents encouraged us to talk about them and think about it. It was not simply a passive experience. Anything from Star Wars to Disney to Babe was talked about from many angles. It was not enough just to like a film but we were told to dive deeper into messaging, branding, technical attributes, acting and artistry. I would drive friends in college crazy analyzing characters and stories but it was just how I was raised. That’s not to say I can’t enjoy a stupid silly movie. I like made for TV movies on occasion, but at least when I am participating in those guilty pleasures I know the escapism I am participating in. I’m so grateful I was taught to appreciate film because I gain a lot more from the whole experience and it is such an important part of the cultural lexicon now to see and know movies. The modern life is so preoccupied with movies so I’m glad I was taught to have a deeper experience. That’s why things like colorizing offend me so much. They assume we are all passive consumers who want everything to be handed to us easily. That we only care about entertainment and not artistry, performance, nuances or looking deeper. And I’m not only talking about dramas. Comedies can be incredibly thoughtful in how they make us laugh, even silly slapstick comedies like Home Alone can have a depth to them where the creators care about the characters. Colorization is symbolic of the greed and laziness of Hollywood. Let’s take the guaranteed successes of the past and spoonfeed them to the masses in an unethical and disgraceful way and as long as we get money we don’t care. They simply enable the lack of effort of the masses and all of us that actually care pay the price. It would be one thing if an artist agreed to ruin their work. For instance, some claim that George Lucas does not have the right to alter his films because ‘Star Wars belongs to the people’. That’s ridiculous. He is the creator. He can change them if he wants. He shouldn’t be and what he has done is an absolute crime but it is his choice. To do it to another person who spent years on most of these films deciding angles and lighting in black and white just so it can be more easily digestible and less nutritious for the masses makes me sick. Anyway, please share my post on your blog or with those you know because again I think some don’t even realize there is an alternative. I’m sure the AMC viewers did not and just like Gene and Roger we need to get the word out again! I really believe that movies are important and we need to teach people to love them not simply be entertained. I’m the one who’s so pleased to have another crusader. I love how passionate you are about this. I wish everyone thought and analyzed issues as much as you do. I feel like Anne of Green Gables, having another “kindred spirit” in the world. It’s only a shame that this attitude is so rare. 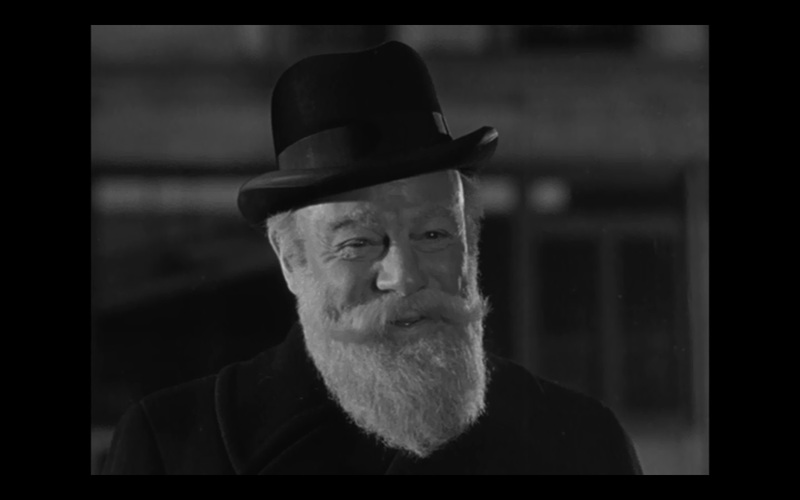 I mentioned something about the colorized Miracle on 34th Street to my family at Christmas, and got no reaction whatsoever. It really is tragically hilarious the contrast between your anger and the general world’s tragic nonchalance. The only thing worse than what you’ve said is that most of the American public does think of film merely as entertainment. My mother told me she had thought of getting me some of the Basil Rathbone/Nigel Bruce Sherlock Holmes movies but decided not to because she thought I might not like old black-and-white movies. It disturbs me how much more a stranger on the Internet can know about a person than your own family. And worse that this was being encouraged. You had a good upbringing, personality being primarily environment, and if my mother thought that she should have given me as many B&W DVDs she could find to have it trampled out of my system! And I can’t believe I didn’t even think of getting angry at AMC for allowing this. Mad Men is my favorite television show of all time, and I’ve watched every episode and am eagerly awaiting the last 7. I can only imagine what Matthew Weiner thinks of this given all the historical detail he’s striven for on the show. I’ll respond to your wonderful comment tomorrow but thank you and Happy Holidays and Merry Christmas! I know! I was stunned. I wish I could get some kind of letter writing or tweeting campaign. Maybe I will try and tweet Matthew Weiner because I agree he can’t be happy with what they are doing. I remember Gene said in that piece that if he had to pick whether to see all movies for the rest of his life in color or black and white he would pick black and white and I agree. But my preferences are beside the point. It is vandalism and AMC should know better. Pingback: Bonus Holiday Review: It’s a Wonderful Life | Reviewing All 54 Disney Animated Films And More! Spread the message! This vandalism must be stopped! To the author of this post, it’s Maureen O’Hara, not Catherine. But I agree with the sentiment expressed. 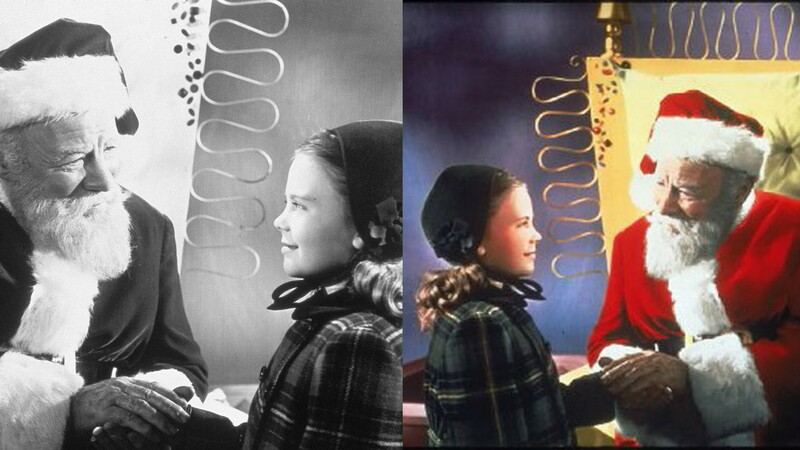 I’m a classic film lover, and I cannot stand the colorization of old black and white films. It’s sacrilege. It not only looks unnatural, it destroys the creative intent of the director.